Home Blog What is CARB and What Is A CARB-Compliant Generator? What is CARB and What Is A CARB-Compliant Generator? CARB is the California Air Resources Board (CARB for short), which is the “clean air agency” that is a government agency in the state of California. CARB’s primary goals are to attain and maintain healthy air quality, which includes protecting the general public from exposure to toxins and contaminants in the air. CARB is mostly known for providing innovative approaches for complying with air pollution rules & regulations. CARB mainly effects equipment with internal combustion engines. CARB rules and regulations affect a wide variety of heavy equipment & machinery and automobiles, because it enforces that any engine that uses combustible fuel, such as diesel, natural gas, or propane must be CARB certified. Basically, generators (commercial generators and residential generators), cars, trucks, tractor, lawnmowers, chainsaws, anything with an internal combustion engine that uses combustible fuel needs to have a CARB certificate to show that is it CARB-compliant. This is due to the emissions, particulates, and harmful gases that are emitted from internal combustion engines. CARB certificates ensure that all engines used in any equipment that is manufactured or sold in the state of California comply with the state’s strict regulations. CARB also controls the quality of fuel sold in the state of California through their Fuel Enforcement Program. This program sets standards and adopts regulations to achieve the maximum degree of emissions reduction possible from vehicular and other mobile sources. This is due to the fact that vehicle emissions were measured to be responsible for approximately 55% of statewide air pollution emissions. The Fuel Enforcement Program goes as far as regulating the composition of motor vehicle fuels, including: California reformulated gasoline regulations (CaRFG), diesel fuel regulations, and cargo tank vapor recovery regulations. Additionally, CARB certifications must be obtained for all pieces of equipment & heavy machinery that is converted or retrofit with an alternative fuel system. Even if the piece of equipment was originally CARB certified, CARB must certify & approve the converted or retrofitted system. An important consideration to keep in mind, CARB is solely enforced and regulated in the state of California, though many other states are rapidly beginning to adopt CARB measures. What Is the Difference Between CARB and the EPA? EPA compliance is a federal certification that applies to all internal combustion engines manufactured and sold within the United States. While EPA & CARB compliance are very similar, CARB is the agency of California which possesses and enforces the state’s own separate rules and regulations. Simply stated – some heavy equipment & machinery with an internal combustion engine that meets certain EPA certifications and compliance can be sold in all other US states, except for California. Not only does the equipment or machinery need to meet the EPA requirements for federal compliance, you would also need to file a separate application for CARB compliance for any piece of equipment or heavy machinery with an internal combustion engine that will be manufactured or sold in the state of California. Additionally, when talking specifically about EPA Tier regulations, such as EPA Tier 2, EPA Tier 3, EPA Tier 4i (EPA Tier 4 Interim), and EPA Tier 4F (EPA Tier 4 Final) – these mainly apply to equipment that use non-road diesel engines, such as diesel generators. How Does CARB Affect Generators? A generator’s primary component is an internal combustion engine which combust fuel. Residential and especially commercial generators exhaust emissions into the air that are both harmful to the environment and to anyone that is breathing it in. With power generation equipment, especially in the commercial generator and industrial generator class, it is impossible to eliminate the production of harmful emissions and particulates. With this simple fact, there had to be a regulation that could enforce limitation and reductions on the amount of harmful emissions produced. This led to the manufacturing of CARB-compliant generators. CARB-compliant generators not only produce less harmful emissions, toxins, and particulates that get exposed into the atmosphere, it also results in cleaner and safer air quality. With that in mind, CARB-compliant generators are generally more expensive than non-compliant generators. Currently, California regulations – set by CARB are in alignment with the current EPA standards in regards to the purchase of new equipment. Additionally, generator sets that were purchased in 2013 and comply with applicable EPA standards will also be compliant in California. If you, your business operations, industrial applications, or facilities are not located within California, be sure to follow the EPA Tier emissions laws in your state. Though you will not be affected by CARB regulations, you must still adhere to the EPA emissions rules & regulations of your area. If you are looking for a new, used, replacement, rental, or CARB-compliant commercial generator for your business operations, industrial applications, facilities, commercial property, or industrial facility, please reach out to us at 610-658-3242 or sales@woodstockpower.com. You can also fill out our Contact Form and our representatives will get right back to you. We have industry experts that focus on commercial generator sets, with in-depth industry knowledge to help you choose the right generator that fits your needs. 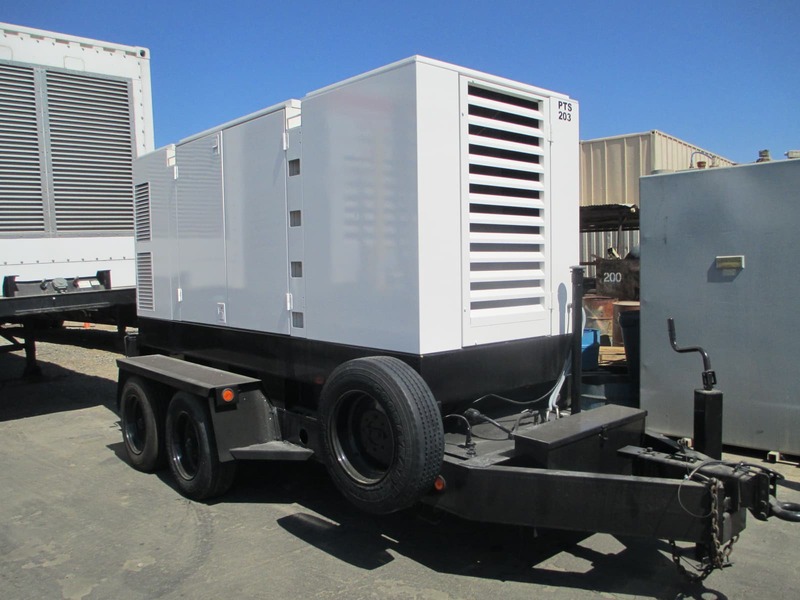 We are industry leaders in buying and selling used generators to fit the needs of many businesses, including commercial, industrial, medical, agricultural, and university. This includes facilities like hospitals, better living centers, nursing home, airports, hotels, restaurants, retail centers, manufacturing, production, and more.